I started watching Twitch about three years ago in 2014, I have made a few YouTube videos along the way and have streamed on twitch a few times myself. I decided to go back to college about two years ago, and it eats up a lot of time, but I still enjoy helping others in my free time. This is an interesting question. I think at any given time when someone spectacular happens, whether it’s an event stream or a channel stream, and the chat go crazy it’s definitely a good feeling. Being able to help the broadcaster ensure that their community is the way they want it to be, is the main reason. I’m not going to give specific viewer numbers as requirements. If you need help with channel moderation, feel free to pm me. You can contact me via Twitter, Twitch, or Reddit. There are latterly thousands of memories from viewing streams. Anytime that a chat goes crazy over something amazing that happens, it’s the best part of being involved with a community. Imaqtpie is a league of legends ADC player, I’ve been watching this stream for about and year and great gameplay hilarious stream, I love it. Sheriffeli is mainly a GTA role playing streamer, absolutely hilarious stream, and I’ve been watching this stream for a few months. 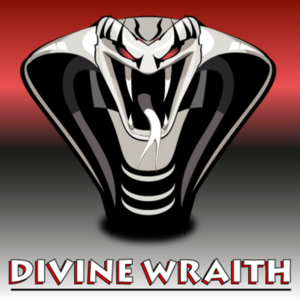 Report 2DIVINE's profile for containing a lack of content. Report 2DIVINE's profile for containing unsafe links. Report 2DIVINE's profile for containing offensive content. Report 2DIVINE's profile for containing formatting errors. Report 2DIVINE's profile for containing invalid links. Report 2DIVINE's profile for another issue.